During World War II the Focke-Wulf Fw190 was one of the most formidable foes faced by the Allies. And the Zero earned a reputation for being one of World War II’s most devious dogfighters in the Pacific theater. Flyzone has replicated both of these famous fighters, featuring durable foam construction and impressively painted finish. And because they’re AirCore models, they are Power Core Ready! Modelers simply slide in the Power Core — it aligns quickly with magnets — install their choice of battery and start flying combat missions with an SLT radio. 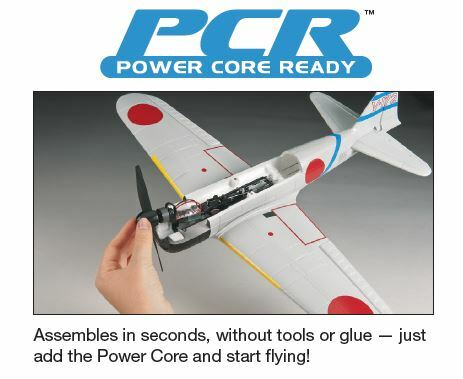 They can also swap the Power Core into other AirCore airframes and pilot a fleet of models quickly and affordably.